The new year brings many new surprises for Free Plovdiv Tour. And by extension – to you, our guests. And so we wanted to give you a sneak peak of what is coming up. We always strive to improve. Luckily, Plovdiv is a wonderful city with so many aspects, so many things to see and places to visit, and a long history to learn about. It provides us with a lot of room for improvement and inspiration to draw from. We want to show you more of Plovdiv. More of its little-known places, more of its spirit and distinctive culture. Starting at January 1st 2015, we will have a new route that we'll be taking you through. Instead of at the post office, now our tours will begin from the Municipality's building, located on the side of Plovdiv's main street ("Knyaz Alexander" street). 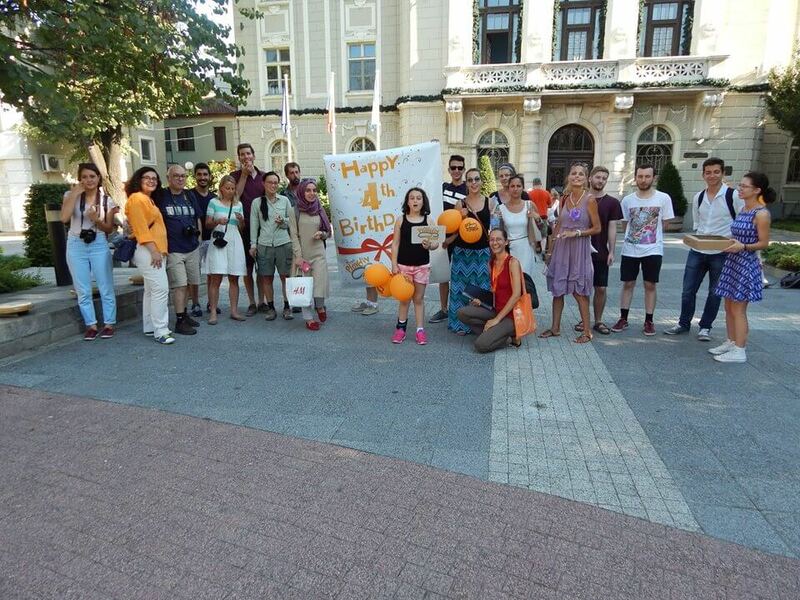 Every day at 2pm you will see one of our tour guides in front of the Municipality's building, holding the Free Plovdiv Tour sign. Even if you thought the weather is too bad, the guide will be there, patiently waiting. So, do you want to learn more about Plovdiv? We'll tell you everything about this ancient yet very alive city. You know where to find us now.